Mundania Press is a publisher of select fiction novels and short stories. We offer romance, science fiction, fantasy, horror, mystery, and paranormal. 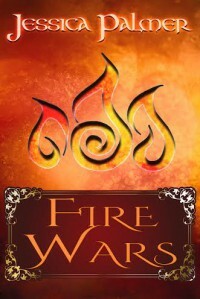 New Edition of Fire Wars by Jessica Palmer On Sale! Buy in print and eBook from Mundania Press! Zelia is a priestess, with sky-blue skin and stranger tempers. Daughter of a ritual union between a human and Air's flighty elemental queen, she lives abandoned in the College of Healers. When a man dies because of Zelia's rebellion, she is accused of the crime and declared renegade. Ares is an opportunist, an adventurer and a fugitive. A sword for hire. Neither elf nor human, he is another outsider, another fugitive, welcomed by no one, mortal or otherwise. In 1933 FDR took America off the gold standard and locked the price at $35 per ounce. At that time the government forbade private citizens from owning any bulk gold, beyond the jewelry they wore. Should anyone come into possession of any gold, via prospecting or other means, they are required to sell it to the nearest bank or Federal Reserve immediately, at the earliest possible time. Failure to do so would result in a rather lengthy prison term. Our story takes place in 1964 when gold bullion was still illegal to own. A mysterious salesman opens shop selling "instant gold," a fine gray powder that isn't gold, but when mixed with equal parts of common sea water, and left to sit for one hour, miraculously transforms into solid 24-karat gold -- and now everyone wants a piece of the action. From common citizens, to big business, to the mob wants to get it, control it, and make a quick fortune from it. The government scrambles to control it while the public lines up wanting their eight ounces of fine gray powder and eight ounces of sea water to turn into one pound of solid gold, earning them a hefty $60 an hour profit -- which, in 1964, was a small fortune! Could it be real? Could the age-old alchemy dream of creating gold have come true at last? And who are the mysterious inventors of this wondrous concoction? The world needs to know! 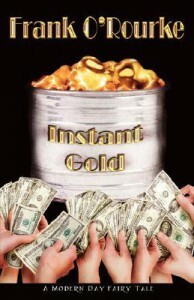 Instant Gold is a modern day fairy tale that satirizes human greed and lays bare the whole paradox of free enterprise capitalism, all the while thumbing a symbolic nose at big government. Buy Now in eBook and Print! Far into the future, the battlefield is in space. Robots, Catladies, Reptiloids, Stygians, and Lizards are as common as Humans. Most are friendly, but when there is trouble in space, mercenaries come to the rescue. 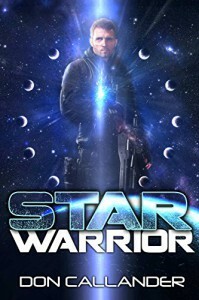 Major Fargon Conclusyon, a Star Warrior, is part of a space mercenary unit for hire and does what it takes to get the job done, even if it means taking a few lives. When he is given an assignment to stop vicious space pirates from terrorizing the Federal Planet of Gautama, a place where religion forbids the taking of sentient lives for any reason, Fargon is put in a perilous situation and must decide how to keep his mercenaries safe without killing the pirates. If he follows the strict policy of the Government of Gautama, can he find a way to bring the pirates in peacefully without losing any of his soldiers? Time, and most of Portugal, has almost forgotten Luminosa, a small fishing community on the Alentejo coast. A cluster of white and blue cottages huddle under the cliffs overshadowed by the great manor of Herdade Albatroz whose family has ruled the village since the days of Napoleon. Far off the tourist route, nobody visits Luminosa by chance. When a ruthless American racketeer turns up, the peaceful village's way of life could be ruined forever. But will other visitors--Piper Pines, seeking news of her long dead Portuguese mother, and Leo Shine, bereft of a father and brother accused of terrible crimes--help or hinder his objective to drag Luminosa into the twenty-first century? Buy now at Mundania Press. Zelia is a priestess with sky-blue skin and strange tempers. Half-human and half-air elemental, she lives uneasily in the College of Healers. Perceived as an outsider, and declared a renegade, she is nevertheless chosen for strange and dangerous task. Ares is an opportunist and adventurer. Neither elf nor human he is another outsider, welcomed by no one, mortal or otherwise. 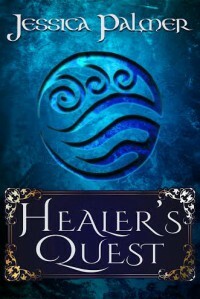 Misfit and outcast meet, and together they discover they possess unimaginable powers of sorcery which they will need to combat the scourge that threatens the land. For the evil sorcerer Queb, long thought dead, has returned..
Now in print and eBook from Mundania Press. The heir to the half-throne of Winterhold is wanted. The Interpreters and the aristocracy want to use him to legitimize their control in the Hold. The Revolutionaries want him to lead their fierce yet fragmented insurrection against the oppression of the upper classes in the Hold. The Queen/Lady wants her son to live, while the King/Lord wants his grandson to die. And the heir himself wants revenge upon those who have wronged him. Death surrounds him on every side and, as always on Winterhold, blood is all. Check out other titles by Stephen Almekinder at Mundania Press. Buy now at Mundania Press! 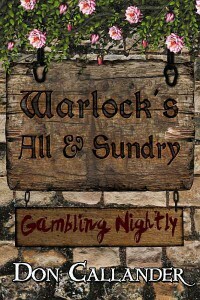 Welcome to Warlock's Bar and Grille, where the Witches, Warlocks, Werewolves, Valkyries, Fairies, Vampire Roofers, and Trolls of New Oslo gather to eat, drink, gamble, and gossip. In New Oslo, anything can happen. The owners of Warlock's Bar and Grille, Warlock Abel Crochet, and his Witch-wife Mary Mistral, unintentionally attract the dark magic of a Black Fairy that puts Mary and their daughter Gay in danger. With the help of the good, magical citizens of New Oslo, Abel must find a way to reverse the curse or he will never see his wife or daughter again. 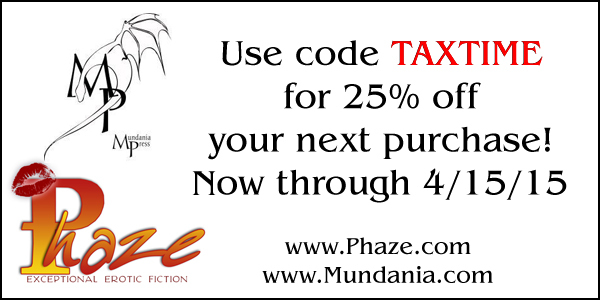 All these and many more of your favorite Mundania authors are on sale today only! As a pregnant fifteen year old, Autumn Fields learned firsthand that the town ghost was more than a creepy legend. All alone in the world, rejected by her boyfriend and beaten bloody by her father, Autumn climbed out onto Hunter’s Bridge to kill herself, but an encounter with a mysterious man convinced her that dying wouldn't necessarily solve her problems. Sixteen years later, she's coming back to Prospect with her teenaged daughter to make peace with her dying father and finally discover the truth about that night long ago. But with the haunted bridge about to be torn down, has Autumn waited too long to come back and find her ghost? $4.99 eBook, $12.95 print - Add to Goodreads! Miriam has but one goal: to someday find her child. She already suffered the horrific loss of Dex, and thought she could never love again. At first, due to her father’s threats to have her committed, she is afraid to speak of the child she lost. But now she has met Chance Blakeford, the one man who believes her--and wants to help. Together, they try to piece together what took place. Buy now at Mundania.com. Coming to other retailers soon. The small kingdom of Vyskir is under threat of invasion by Duke Arec, leader of the neighboring state. The people of Vyskir look to the benevolence of their god and his consort, the Lady of the Snow, but for some years now, the Lady has sent no visions and the religious elders are secretly questioning her very existence. A marriage union between Arec's daughter and the heir of Vyskir's ailing Imperator would eliminate the threat, but such a union can--and must--involve the Imperator's second son only, for the true heir apparent, Prince Osiv, is a congenital simpleton. As the law decrees that the eldest son must be the first to marry, the elders set out to find Osiv a bride. 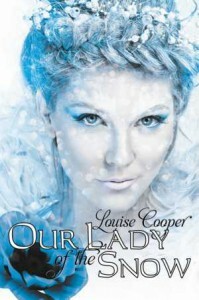 For decades, the late Louise Cooper enthralled readers with tales of high fantasy and chilling supernatural phenomena. 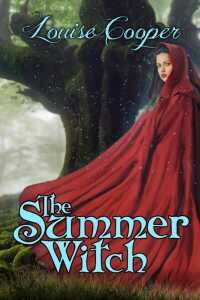 We are proud to offer one of her best back in print and digital formats: THE SUMMER WITCH! When Carys is married off to an ageing widower by her greedy father, she invents an imaginary lover in the unlikely guise of her husband's scarecrow. When an encounter with Wayfarers gives Carys the chance to turn her fantasy into reality, it proves a temptation too much. Evil is growing once again in the world of Backyardia and the brothers, Gabe and Noah return to help Polos combat it and undertake the Quest for the Objects Triune. The Bag, Bottle, and Box must be found to restore the ancient races but there is a problem. Polos has lost track of the Objects. The very power that he used to create them has transformed them and now they contain more power than he ever intended. Can they find it in time? Stephen Almekinder has a variety of experience as a writer. He received a finalist certificate from the Writers of the Future Contest for one of his short stories. He wrote a radio play, which was produced and aired. He adapted the science fiction novel Nova, by Samuel R. Delany, into a screenplay with the permission of the author. One of his short stories was published in a science fiction/fantasy magazine, Once Upon A World, in 1997. 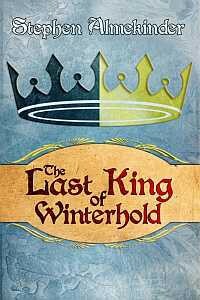 Winterhold, Blood of Winterhold, and Lost Empire of Winterhold have been published by Hard Shell Word Factory. Winterhold was a finalist for an Eppie, an award given out by the EPIC (Electronically Published Internet Connection) group, while Blood of Winterhold was nominated for the Frankfurt eBook Award. 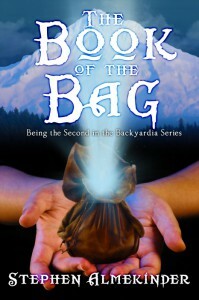 Hard Shell Word Factory has also published Backyardia, a fantasy novel for young adults. And it is safe to say that the Winterhold series is not yet finished. Buy Now From Mundania Press! Ayden, a slightly overzealous dog rescuer, chases a pit bull down an alley just in time to witness a murder. The cops side with the killer, and his sudden interest in Ayden sends her straight back into the same weird visions that kept her institutionalized for most of her childhood. 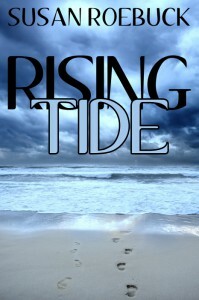 She's learned to live with them, but somehow, the dark and dangerous Maxwell Jackson is not nearly as easy to ignore. He not only has the key to saving her dog, he believes in things Ayden has spent her whole life convincing herself are absolutely impossible. 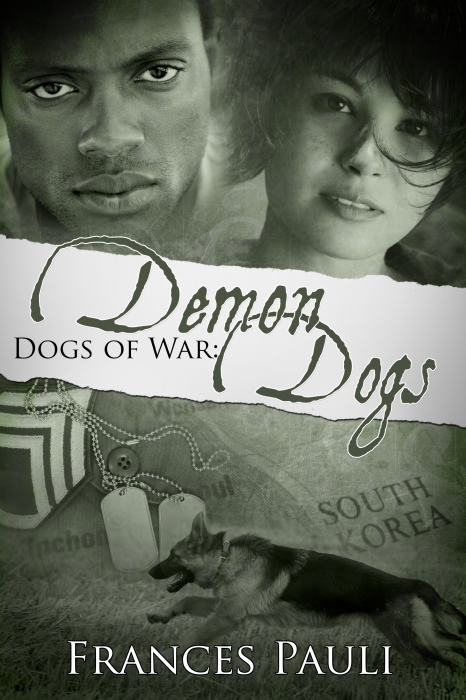 She might be able to get past the crazy, might even be able to learn to trust another human again...but Maxwell is part of a group that uses dogs to hunt and to kill, and as far as Ayden is concerned, that's a major deal breaker. If only she could forget that he's the man of her dreams. Huge Piers Anthony Sale at OmniLit! Missing a Piers Anthony book? Here's your chance to pick up a few for $1.99 each! Now through next week, all these books are on sale at OmniLit! (You can buy here and transfer to your Kindle or iPhone/Android app). Under a Velvet Cloak - Kerena, a beautiful young girl living near King Arthur's Camelot, is apprenticed to Morely the Seer. Morely teaches her fantastic magic, but when he mysteriously disappears, Kerena finds herself out on the street and must resort to prostitution to survive. Kerena prospers as a skilled courtesan until she is taken into service by Morgan le Fey, the sorceress sister of King Arthur. Kerena's knowledge of magic grows as she is required to carry out nefarious deeds for the evil Lady Fey. One of her missions is to seduce Sir Gawain, Knight of the Round Table, to prevent him from locating the Holy Grail. But Gawain and Kerena fall in love and she conceives his child, a child she discovers is cursed to die an early death. Using her Seer abilities, Kerena tries to locate the fabled Incarnations of Immortality, seeking their aid in removing the taint from her baby. Rebuffed by all seven major Incarnations, Kerena vows revenge. Relationships - All five original anthologies of Anthony's short stories!